Special high impedance measuring cable for pH/ORP measurements. For electrodes with TOP68 plug-in head (ESA/ESB/ESS/HDA) and wire terminals. Potential Matching (PM) wire externally with flat connector or internally. 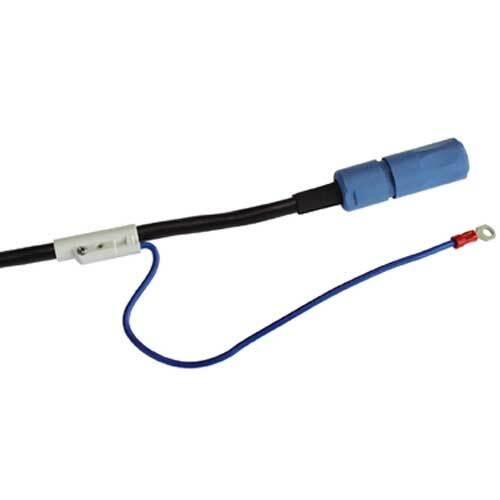 - for pH/redox electrodes with and without temperature sensor - black for non-ex and blue for ex-applications. TOP68 plug-in head for easy and safe exchange of electrodes with gold pin and IP68 thread. High temperature: TPEInner Conductor/control lines: copper, tin-coated. For electrodes with TOP68 plug-in head (ESA/ESB/ESS/HDA) and wire terminals. Potential Matching (PM)wire external with flat connector or internally. - For pH/Redox-electrodes with and without temperature sensor.- Black for non-ex and Blue for ex-applications. For sensors with TOP68 plug-in head. Wire terminals to connect to the transmitter. TOP68 plug-in head for easy and safe exchange of sensors with gold pin and IP68 thread. For sensors with and without temperature sensor.